Tipify, our latest IoT Technology for Smart Buildings and Smart Grids, is fully Distributed, Scalable and Secure. At Intellastar we provide the ideal platform to manage Smart Buildings, Energy, DSM and DER’s. Built using SkyFoundry’s Skypark Everywhere Distributed Architecture, Tipify runs on T-Star edge devices that integrate with existing systems and perform analytics and control. These devices communicate with Tipify Enterprise Servers using the latest 4G LTE modems through Intellastar’s Connect Data Service to create an end to end Technology solution. The Tipify System is high performance, fully distributed, hugely scalable and inherently secure.Tipify runs in T-Star Edge Devices that are deployed in the Buildings and in Enterprise Server software that can be run in local Servers, Data Centers or on Cloud services. The System Integrates with existing Building and Energy Systems. 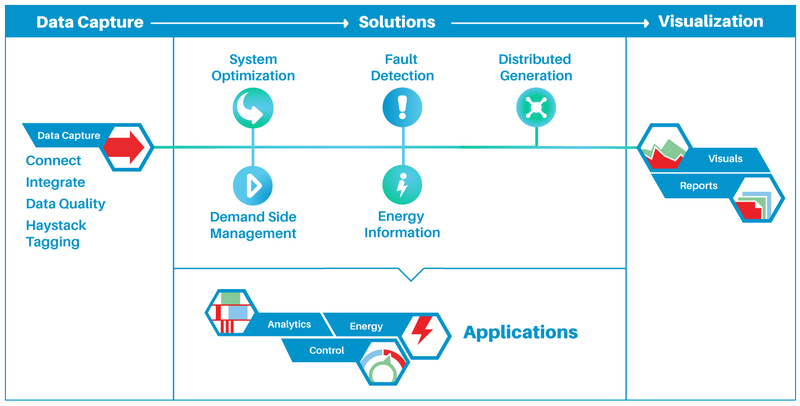 It provides an Energy Information and Management System, Edge and Server based Analytics, Control, Visualization and Reporting. 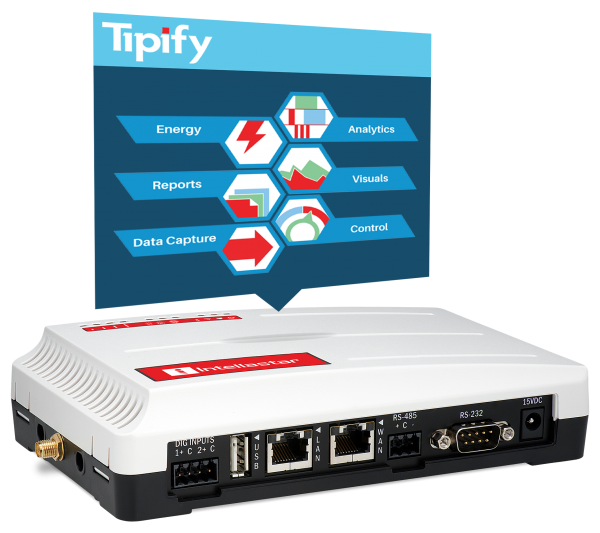 Tipify is the latest generation of Intellastar IoT Technology for Smart Buildings and Smart Grids. It is compatible with earlier versions all of which can be easily upgraded. It is built on the SkyFoundry SkySpark V3 Everywhere software platform and uses the Haystack Tagging and Data Model. Tipify Architecture comprises T-Star Edge Devices located in each building, Connect Cellular Data Service connecting T-Stars to Servers, and Tipify Server Software to run at Enterprise and NOC level. T-Star Edge devices are located on site and run a fully featured Tipify Software Stack with Analytics. They integrate with existing systems through multiple protocols including BACnet IP, Modbus TCP and RTU, and perform Data Tagging and Modeling to the Haystack Standard. The T-Star can either perform Analytics locally and share results to the Enterprise Server for system wide viewing or can transmit the tagged, modeled data to the Server for analysis there. Tipify is provided as Enterprise Software and can be deployed by the users on local Servers, data Centers or Cloud Services such as AWS or MicroSoft Azure to suit the use case. Projects can span multiple Tipify Servers and users are able to seamlessly view their projects without needing to know where the data is physically located. This Views method allows multiple Servers to cluster together directly and the overall Tipify System to scale to thousands of Buildings and millions of Data Points. Edge to Server Communications uses ArcBeam, an Authenticated Communications Protocol using Asymmetric Cryptology with Private & Pubic Key Pairs to provide device security.